Elon Musk, a man prone to ludicrous deadlines, has birthed another: test flights of his Mars spaceship next year. "I think we’ll be able to do short flights, up and down flights, some time in the first half of next year," he told an audience at the South by South West (SXSW) festival in Austin, Texas. He said it was vital humans reached the Red Planet before the next "probable" world war. But, aware of his reputation, he added: "Sometimes my timelines are a little... y’know." More pressing to Mr Musk, and the investors that enable him, might be the backlog of orders for the Model 3, Tesla's "affordable" new car. The company is still way behind on its production targets. Elon Musk is unquestionably the most interesting businessman in Silicon Valley - arguably the world - thanks to his almost single-handed reignition of the space race. After a string of failed rockets - and near bankruptcy - SpaceX wowed the world with its Falcon Heavy flight, in February. A highlights reel of that event, soundtracked to David Bowie's Life on Mars, was shown to attendees at the festival. The ultimate goal of the mission, of course, is a Mars colony. At the event, Mr Musk painted a picture of what he felt such a society would need to look like in order to be a success. "I think most likely the form of government on Mars would be a direct democracy, where people vote directly on issues," he said. "Everyone votes on every issue and that’s how it goes." A Mars colony is a pressing matter, in Mr Musk's eyes, if we are to ensure the survival of the human race. "I think it’s unlikely that we’ll never have a world war again," he said. "This has been our pattern in the past." On a lighter note, Mr Musk said he was excited about the potential for launching new industries from a complete fresh starting point. Mars will need pizza joints, and one day people will drink at a Mars Bar, he said - congratulating himself on the Dad joke. Repeating concerns he's made in the past with even more vigour, he said a bigger threat to human life was artificial intelligence - not nuclear war. 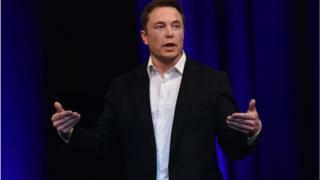 "AI is far more dangerous than nukes," he said, dismissing the pushback from AI experts who suggested Mr Musk was more interested in controversy than studying the work. "I’m not normally an advocate of regulation and oversight," he added. "This is a situation where you have a very serious danger to the public. There needs to be a public body that has insight and oversight so that everyone is delivering AI safely. This is extremely important. "Nobody would suggest that we allow anyone to just build nuclear warheads if they want, that would be insane. "My point was AI is far more dangerous than nukes. So why do we have no regulatory oversight? It’s insane." Your view on Elon Musk will likely depend on whether you believe his wild claims about life on Mars. The prevailing mood here, of course, is that Mr Musk is a visionary of the highest order. And if he doesn't try and get us to Mars, who will? Correction: An earlier version of this article said the test flights would be 'to Mars'. While Mr Musk eventually intends to reach the planet, next year's tests will involve trial runs of the ship into space.